This little pocket rocket packs a decent amount of power into a tiny, lightweight package, and competes with the likes of the Volkswagen Up GTI and Renault Twingo GT. This is a little car with a lot of character. 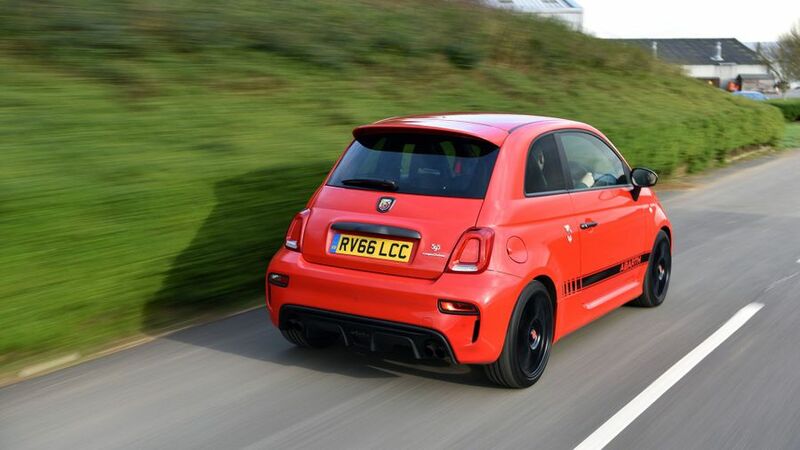 The Abarth 595 is definitely not without its flaws – pricey, short on safety kit, hard ride – but it delivers a raucously fun driving experience. 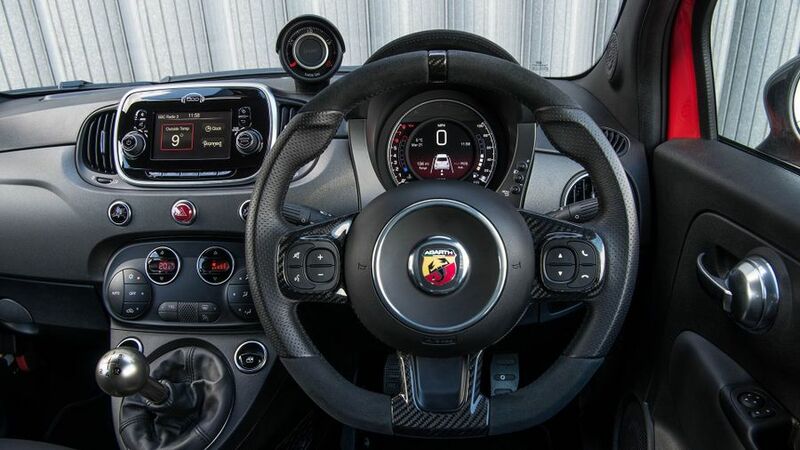 While most city cars opt for comfort and economy, the Abarth 595 is a very nippy car which keeps its retro, stylish looks, but adds a big dose of aggression. 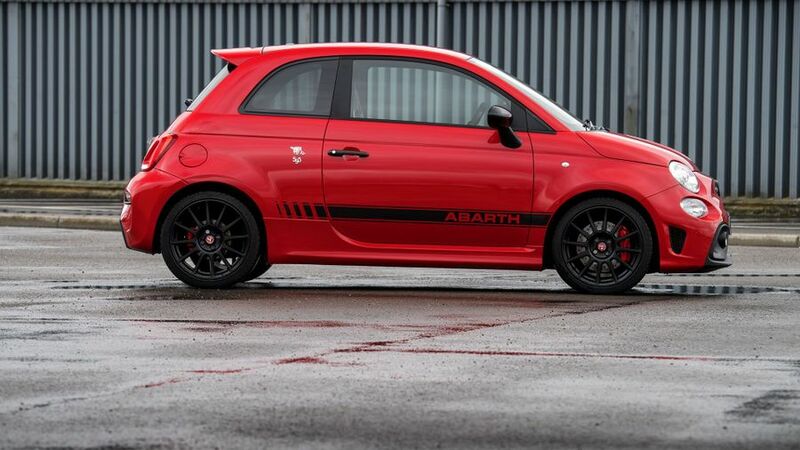 Interested in buying an Abarth 595? The Abarth 595 holds on to the cute retro styling of the Fiat 500, but adds a layer of sporty aggression to proceedings. The basic 595 comes with 16-inch alloy wheels and black bumper inserts front and rear. The Trofeo model adds a racier exhaust, which adds plenty of noise, and 17-inch matt black alloys, while the Turismo comes with black brake calipers, chrome door mirrors, dark tinted windows, and 17-inch alloys. Competizione versions get a few more styling add-ons, with 17-inch alloys, bumper inserts front and rear, red brake calipers and tinted windows. There are plenty of paint options, from subtle whites, blacks and greys, to the brighter Modena Yellow and Abarth Red. Or, you can choose two-tone paint jobs combining black and white (with a spot of red), black and blue, or grey and grey. What's more, you can get all 595 models in 500C convertible format, too. Inside, things aren’t quite as inspiring and stylish as on the outside. There are a lot of hard, plasticky fittings and panels all about the cabin. And it’s all very grey. That's weird, because base-level Fiat 500s are really stylish and colourful. One nice highlight is the boost gauge mounted on the dashboard, which adds to the drama. You get supportive and sporty bucket seats, although the padding is rather firm; lovers of a hard mattress will rejoice, but those who prefer things softer probably won't. The high driving position won't be to everyone's taste, either, and because there’s no reach adjustment on the steering wheel, it could be tricky to find yourself a comfortable driving position. The small touch-screen isn’t very easy to use. It’s basic, but it's also quite fiddly, and it often takes a long time to scroll through to the menu or feature that you're after. The fact there's no sat-nav, even on the options list (apart from on the odd limited-edition model), is frustrating. When you’re on the road, you’ll need to turn the radio up loud to drown out the amount of road noise you get in the cabin, too. 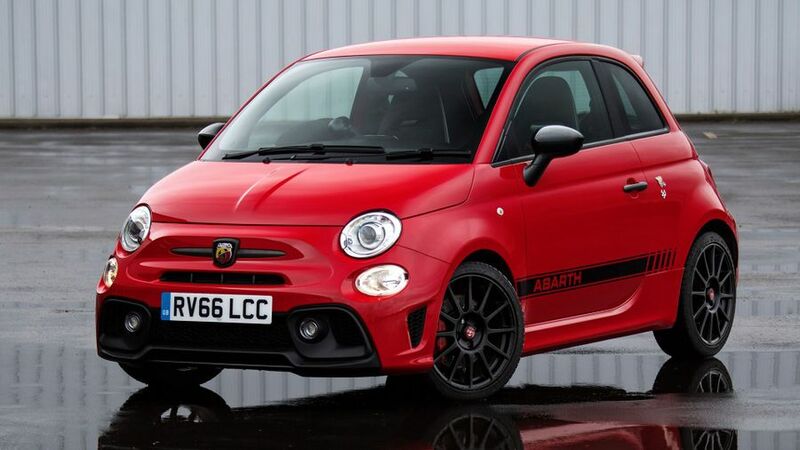 You don’t expect a city car to be super practical, but a lot of the Abarth’s competitors are better on this front. Its overall size makes it practical for driving around towns, nipping through traffic, and pulling into tight spaces, but inside it’s a bit of a hindrance. There’s enough room in the front, but the car is quite narrow, so if you’ve got two large adults, you may find yourself rubbing shoulders. The two rear seats are pretty tight on both head- and legroom, so if you’re going on a long journey, the unlucky people in the back won’t be very happy with you - once they’ve managed to squeeze themselves in, that is. The boot is pretty small at 185 litres, so you’ll be absolutely fine for a trip to the shops, or to squeeze a couple of soft weekend bags in, but that’s about it. The basic models don’t have folding back seats, but higher models do, and this increases the boot space up to 550 litres. The ride is hard. Really hard. If you hit a bump or pothole at any speed, it crashes uncomfortably through the car, to the point where you could well be wincing. Even over smaller bumps, the car feels rather uncomfortable as it jitters and fidgets along. Find yourself a smooth, twisty road, though, and you won’t mind quite so much. The little Abarth has got loads of grip, so you can happily fling it around, and you can thread it down the road at quite the rate of knots. However, it's still not as enjoyable as other sporty city cars like the VW Up GTI. The controls - particularly the steering - aren't as responsive or as feelsome, so it instantly feel a bit less engaging, and despite the hard suspension, it doesn't feel as nimble or as precise, either. 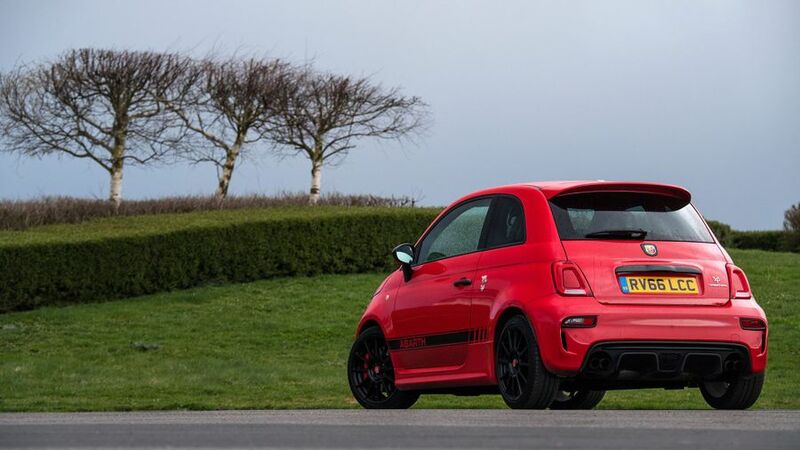 Now this is what you’ll want to buy an Abarth 595 for, because it has a level of power that very few hot city cars can match. It’s got a modest 1.4-litre engine, with different models in the range delivering 165- or 180 horsepower. Considering the car weighs only a little over 1000kg, it can certainly shift, with the 180 horsepower models hitting 0-62mph in 6.7 seconds, and the 165 horsepower engines taking 7.3 seconds. The engine is responsive from low revs, but does its best work between 3,000 to 5,500 revs, and you really do feel the pull between those points. Keep an eye on the speedometer, though, as you might be having too much fun to notice how fast you're going. 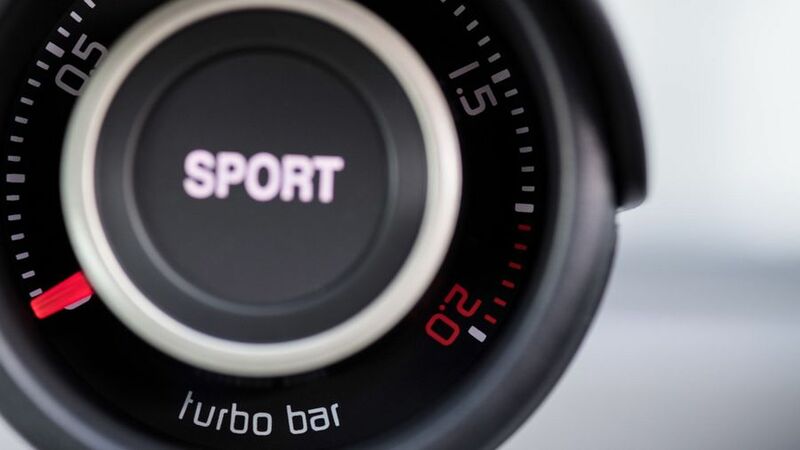 The gear changes are precise, and you'll definitely want to stick with the manual five-speed gearbox, as the automatic is expensive, clunky and slows the car down. The Abarth 595 isn’t a particularly cheap car to buy: it’s a good few thousand more than the Volkswagen Up GTI and Renault Twingo GT. If you go for one of the more powerful models, you’re looking at even more money, and an even bigger gap between rivals. 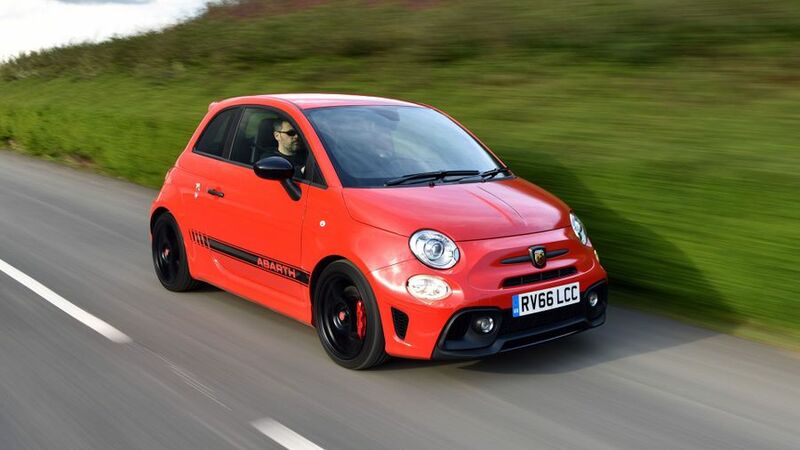 The Abarth 595 is much closer on price to bigger hot hatches, such as the Ford Fiesta ST and Mini Cooper S.
Insurance groups for the Abarth are quite high, and more so than rival cars. 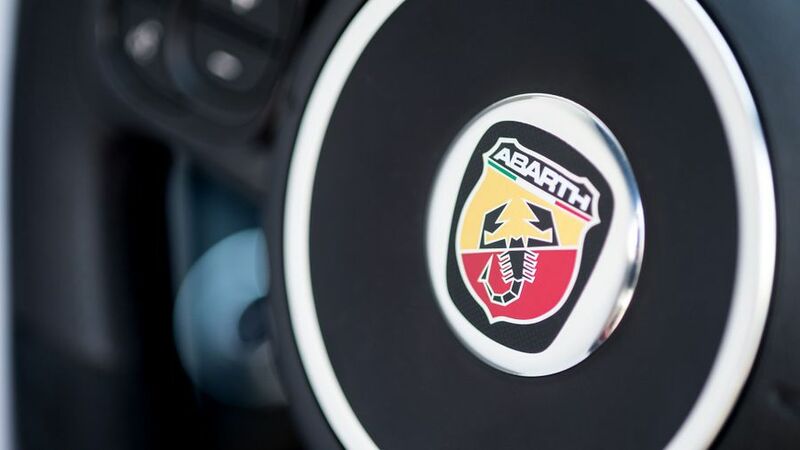 The official fuel economy for a mid-range Abarth 595 is between 47.1mpg and 48.7mpg, which is pretty good, but if anything goes wrong, service, maintenance and repair costs are higher than those of rival cars. Resale values are ok.
Fiat currently holds a slightly higher than mid-table position in the manufacturer rankings of Warranty Direct’s Reliability Index. The Abarth 595 isn’t on the list specifically, but the Fiat 500 is, and it fares pretty well. It’s worth noting that the majority of the faults reported centre around axle and suspension problems, and quite a few around electrics, too. The Abarth 595 comes with a three-year/unlimited mileage warranty, which is competitive when compared to other cars in the class. The Abarth 595 is based on the Fiat 500, which only scored three stars when crash tested by independent experts Euro NCAP. The basic 595 gets you stability control, a tyre pressure monitoring system, seven airbags and a puncture repair kit, so that’s the minimum covered with no fancy extras. The only thing the higher up Turismo and Competizione models get you is a rear parking sensor. You can’t get an autonomous city braking system anywhere in the range, or any other newfangled safety system, which is a shame. On the basic 595 and the Turismo, you get a 5.0-inch touch-screen with DAB, Bluetooth, USB and aux-in cable. You also get steering wheel mounted controls, air-conditioning, and electric front windows. The Turismo and Competizione models add automatic climate control to the list, and limited-edition Trofeo gets you a slightly bigger 7.0-inch touch-screen. Other than a few small additions, most of the differences between the cars in the 595 range are style or power related. 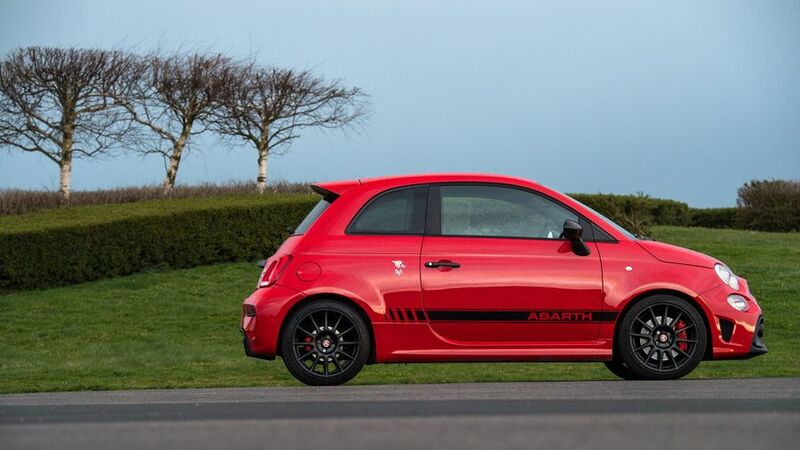 If you want fun and style in a small package, and to occasionally get mistaken for a Fiat 500 by someone before you leave them behind at the traffic lights, the Abarth 595 is well worth a look. However, while it didn’t have much competition when it first came out, it's now up against the Volkswagen Up GTI, which is considerably cheaper, higher in quality, more practical and more fun.